The summer of 1940 had been a dark one for England, and even darker for DI Tom Tyler’s personal life. When several young women doing dangerous war work are killed in an explosion in a Birmingham munitions factory, Tyler is quick to help out. But as he talks to the remaining employees, the owner, and others connected with the factory, divisions begin to appear, and Tyler fears that what first seemed a tragic accident may be the result of something much more sinister, organized, and far-reaching. 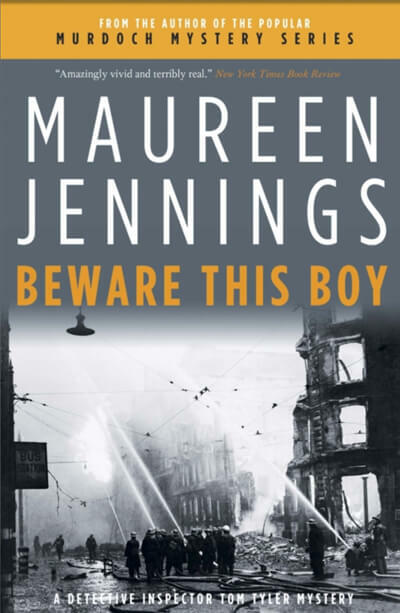 The rich sense of England during the era of the Blitz, pitch-perfect dialogue, and vivid characters — not least the rough-around-the-edges charmer Tom Tyler — make Beware This Boy another classic page-turner from master storyteller Maureen Jennings.